My Valentine’s gift to you is free domestic shipping through February 14 on any purchase. Just use coupon code “val2015”. 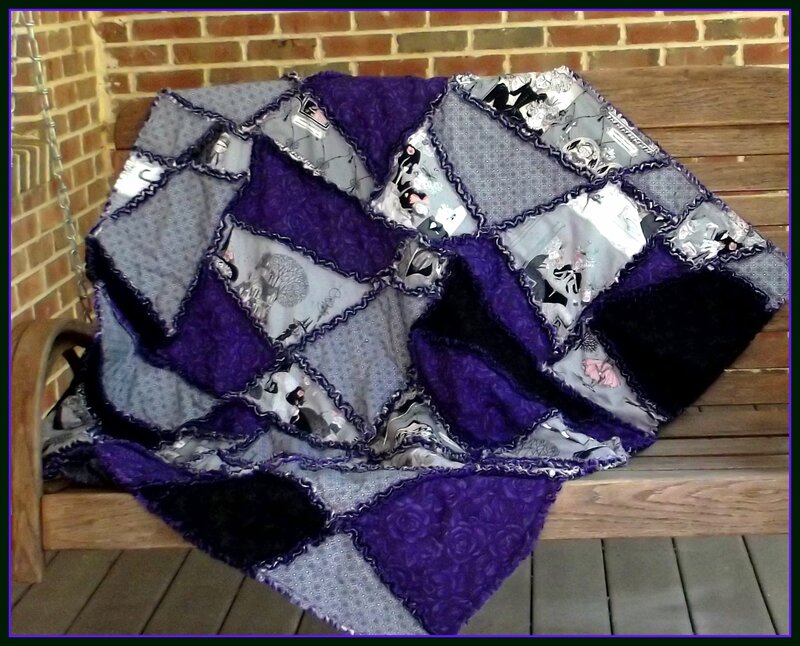 A few years ago I constructed a haunted house quilt. It was so much fun to sew, this year I thought I would build on the basic design and nail down a new, more detailed version. I also wanted to write and publish a pattern, since the original house was built before I was writing patterns and there was no blueprint for it. More housekeeping: here is the link to the pattern for the Easy As Pie Stroller Blanket that I promised a few weeks ago : Easy As Pie Stroller Blanket Pattern . Every day can’t be full of sunshine. Sometimes its nice to enjoy a dark night with a bit of rain. That’s kinda how I see Halloween. It’s a time that reminds me life has a bit of the unknown, even a bit of spooky darkness. Here is a new quilt I finished this week. 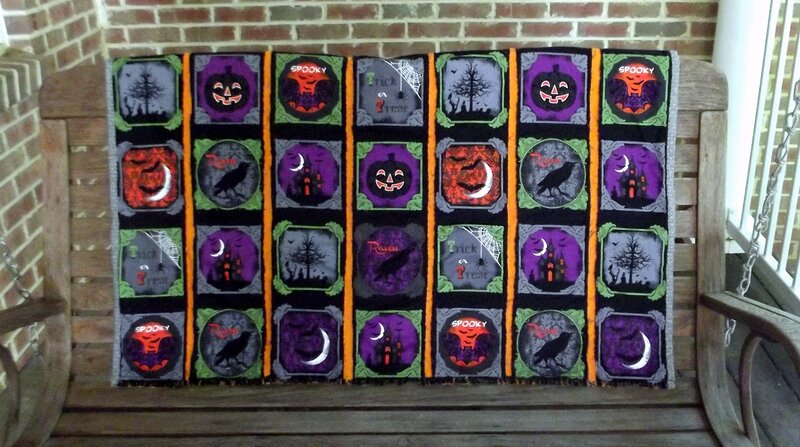 It’s called “Spooky Raven Halloween Quilt”. 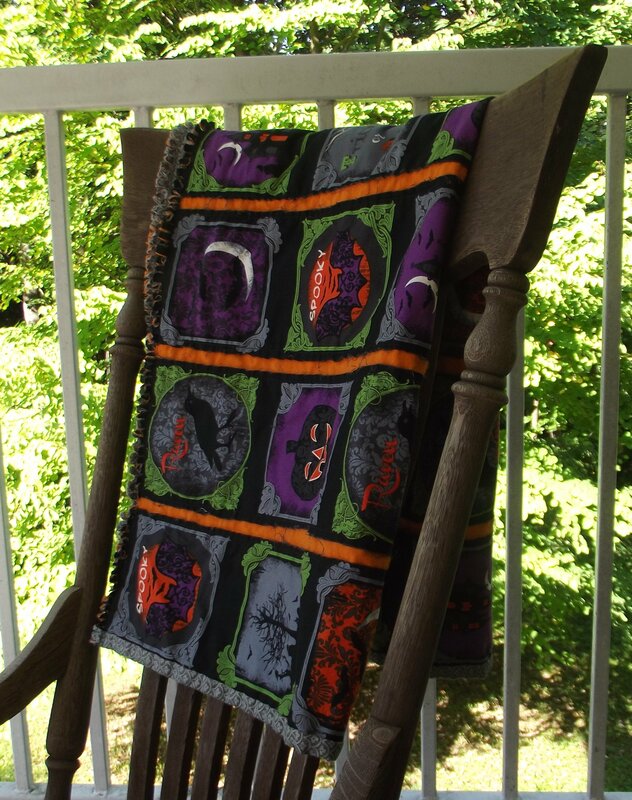 It is made from a really cool Halloween print called Raven by Rosemarie Lavin Design for Windham Fabrics. 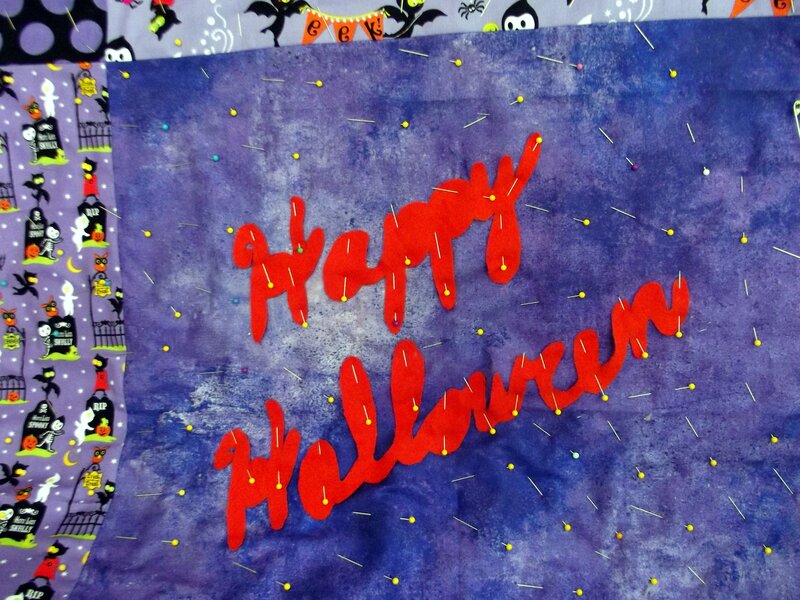 The fabric was such a great pattern, I decided to just add some lines of reverse applique and leave the rest of the quilt to display the iconic Halloween motifs. Yesterday I broke out a brand new fat quarter pack of 21 pieces of Riley Blake Halloween Kid’s fabric. I bought it at deep discount last spring and squirreled it away until I was in a Halloween mood. Yesterday was perfect. The kids were back to school, my day’s schedule was open to design and sew and be creative. So I pulled the pristine bow off the perfectly wrapped cotton squares and laid out all 21 pieces of fabric. Then I hit a roadblock. Or maybe it was a mind freeze. Anyway, I hit hours of paralysis where I could not decide what to make out of this perfect fabric. A big part of me loved the fabric in its untouched rectangular state and did not want to change it by cutting it. Another, more creative part of my mind was exploding with possibilities so much so that they all jumbled together and caused dizziness along with the paralysis. One project I did finish last week was the pattern for the Easy As Pie Stroller Blanket. It is available in the shop here. Autumn is my all time favorite time of year. I love the crispy cool days and the changing leaves. I love the smell of brand new loose leaf paper and freshly sharpened pencils. I also love just a bit of scary. I’m mostly a wimp, so no horror movies or blood or gore. I like Charlie Brown’s Great Pumpkin or maybe the Wizard of Oz if I close my eyes for the flying monkeys part. 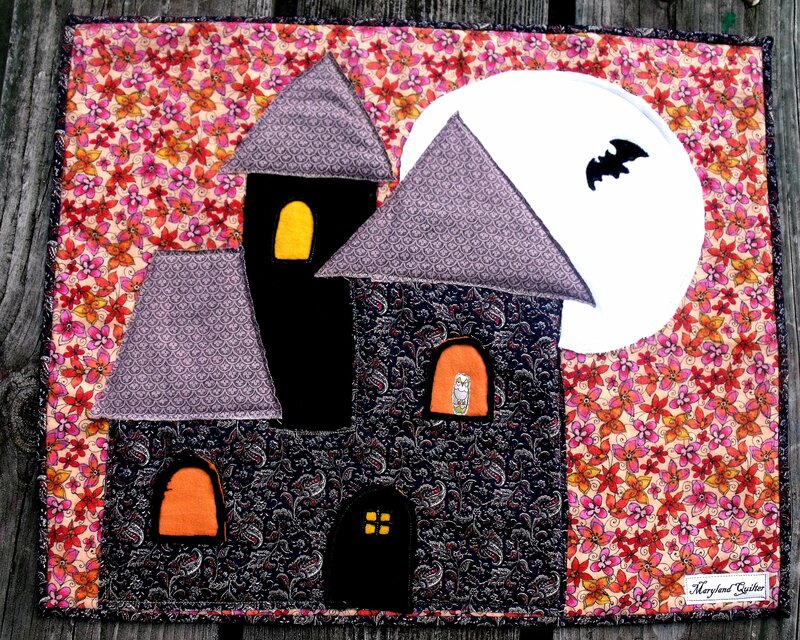 It’s called Ghastlie Halloween Crazy Quilt and it’s available in the shop here The quilt is so easy to make– start now and you’ll have it done for Halloween! 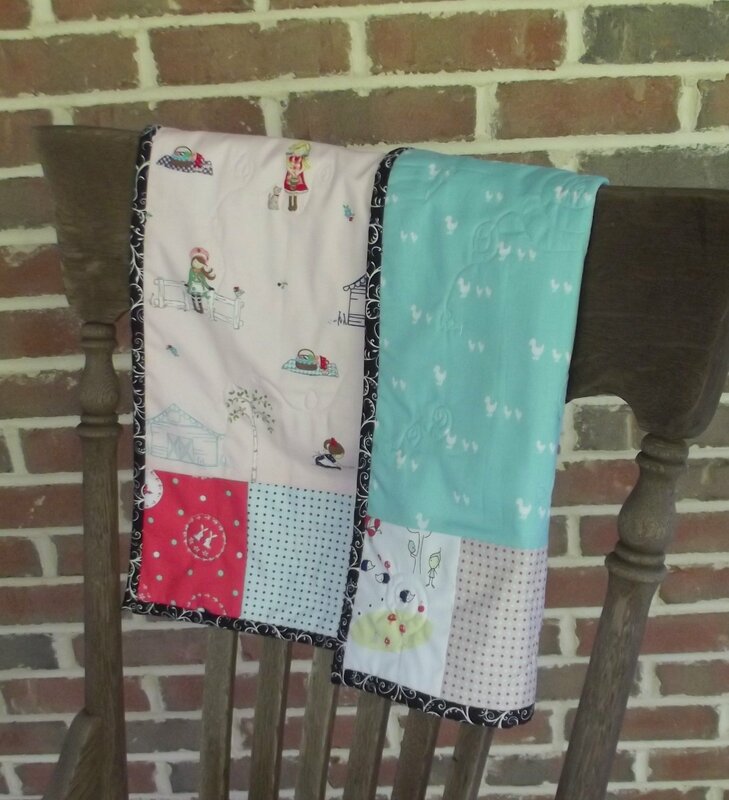 Here I am enjoying the unusually cool Maryland summer, taking it easy with some more Easy As Pie stroller blankets. I love the name of this pattern because every time I read it I imagine a large slice of cherry pie and I can almost taste it! All the indulgence without the calories! I don’t think I’ll ever name a quilt about broccoli or Brussels sprouts. 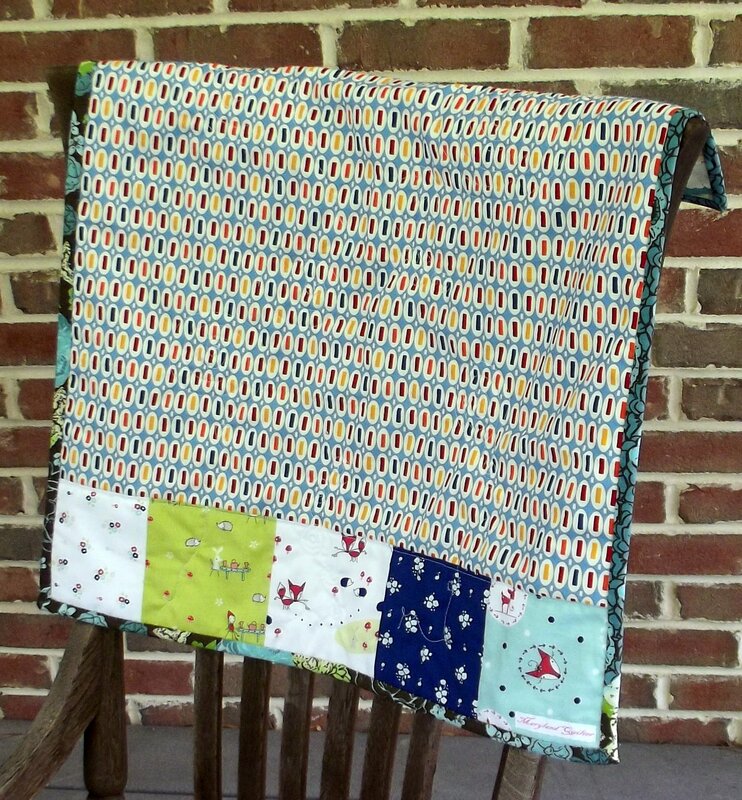 Here is the newest Easy As Pie stroller blanket. I chose a black patterned binding because I like the contrast to the sweet pink and blue inside. 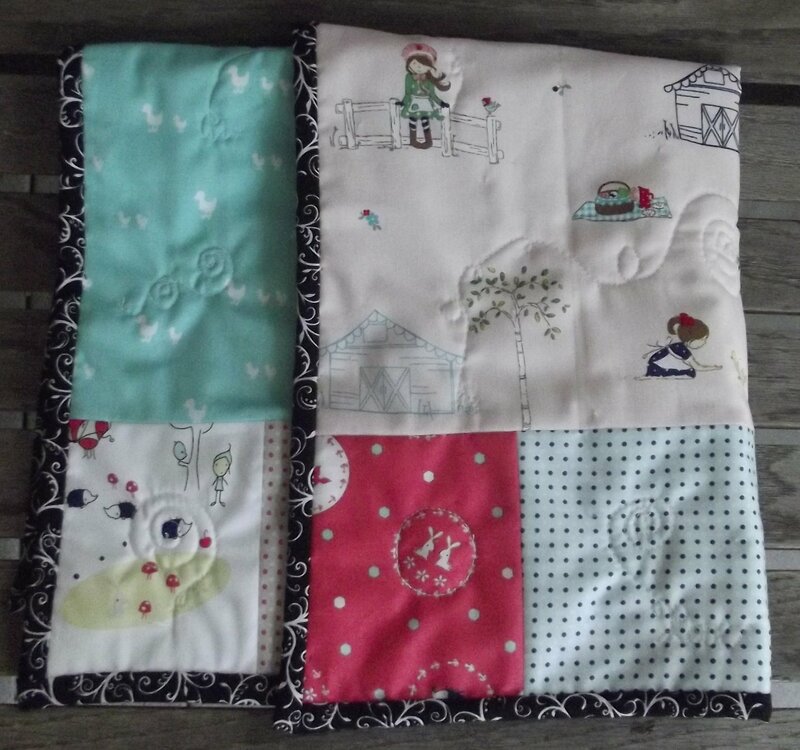 The stroller blanket is available in the shop here. The pattern is still in the works. This week I’m still having fun designing quilts with precut fabric. 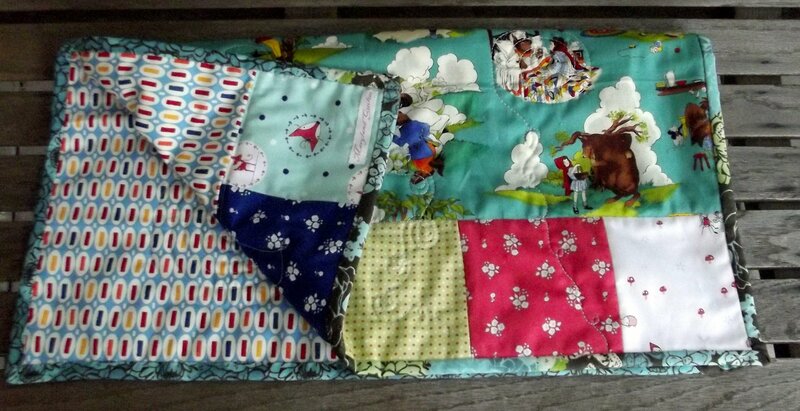 My newest project is a stroller blanket with charm pack 5 inch squares and fat quarters. 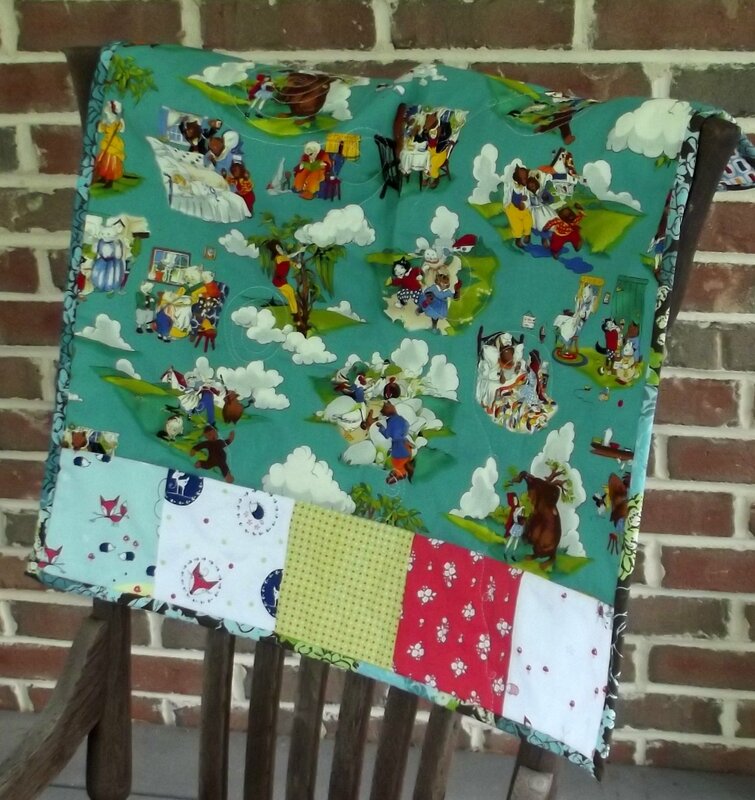 I decided to make the back of the quilt as special as the front, so that any way you toss the quilt in the stroller it looks great! Here is the first stroller quilt I made. 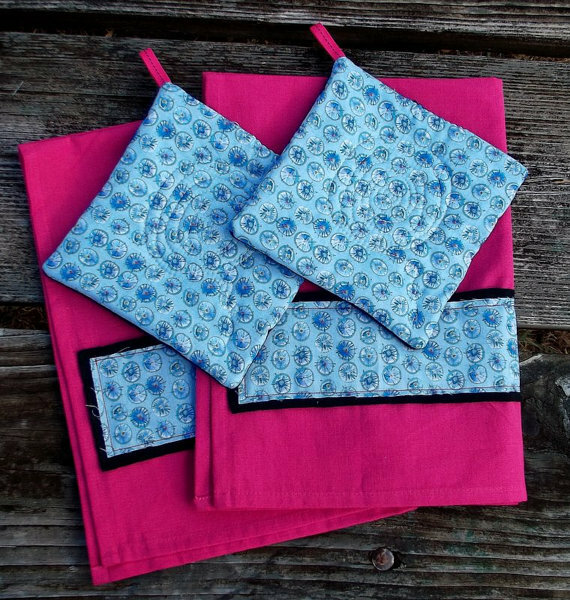 It has free motion quilting and hand sewn mitered binding. I wish I had a stroller to use as a prop for the photo, but a rocking chair had to make do. The quilt is available in the shop here . I’m making a few more samples, then the pattern should be available in the shop in a week or two.